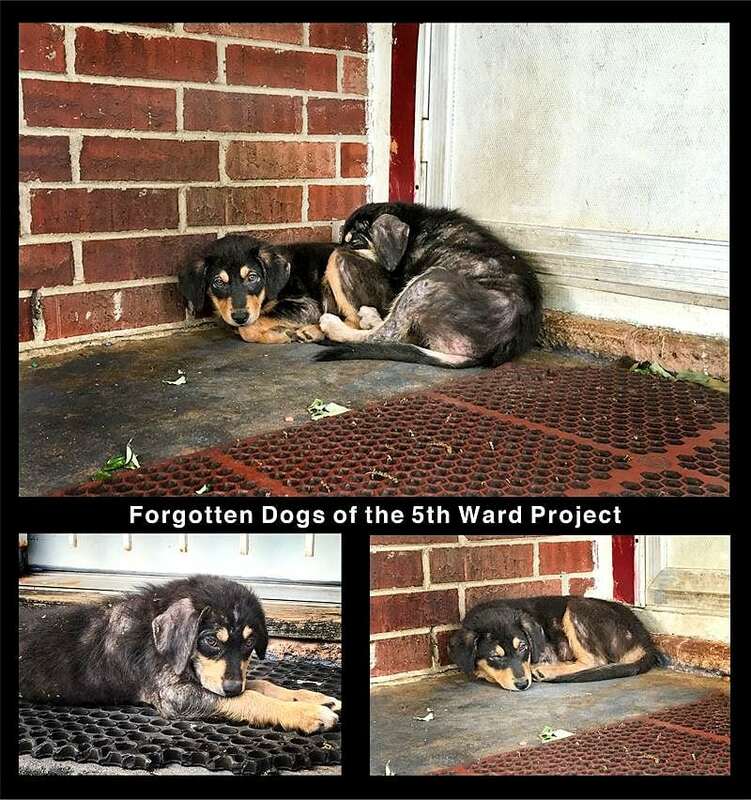 Yvette Holzbach and volunteers with her rescue group, Forgotten Dogs of the 5th Ward, feed the stray dogs of Houston – sometimes up to 50 in one go. 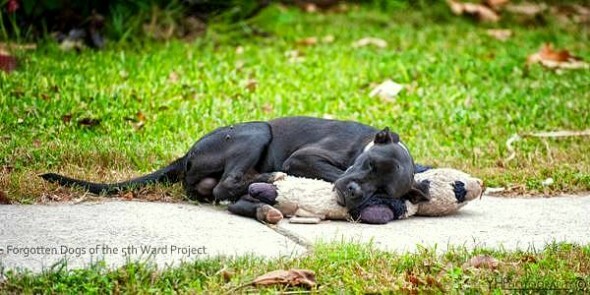 On a recent visit, she came across a bittersweet scene: a stray dog snuggling up with a tatty stuffed animal. Now she’s on a mission to find him again and get him the help he needs. This dog was posted on my personal page and it sparked a lot of debate. I know that one of the first things someone is going to comment is “why did we not pick the dog up?” On one feeding route we can feed up to 50 stray dogs. Of those 50 dogs we are lucky if we are able to save one because the sad truth is, there are not enough foster homes to place these dogs into. This dog is in relatively good condition and sadly, when people see a dog in this shape they are less likely to step up to foster. So what we do is mostly post the dogs that are in worse shape and need immediate medical attention. This dog, without a doubt, depicts the plight of the dogs in our city. A solution needs to be found and the best way that any of you can begin to help is by fostering. We are in desperate need of dedicated fosters so we can get dogs like this off the street. No dog should have to live like this. If there is anyone that does not quite understand what we are faced with we welcome you to do a ride along with us. You will be astounded at how many homeless dogs there are. It is the hardest thing in the world for us to leave dogs like his behind so please don’t judge us. We are a small group of volunteers who are just trying to do the very best we can with what we have. Please help us by fostering/donating or volunteering. There is no doubt…..fostering saves lives. Nothing would make us happier than to be out in the field and know that if we could post any dog and know that a foster would step up. Today I went out to look for the dog with the teddy. I went to the exact place that we saw him and he was not there. There was an elderly gentleman sitting across the road and I struck up a conversation with him. He had a feeling that the dog belonged to the 89 year old man across the way. He said he sees a dog like that occasionally and thinks that he just lets the dog out to wander. He also mentioned that the man has a number of other dogs in his back yard as he tends to want to save every stray he sees. (He is a good man). He thinks that the elderly gentleman may actually appreciate help with the dogs since he is so elderly and is finding it hard to care for the dogs himself. Unfortunately the gentleman was not home so I will go back and find out if the dog does indeed belong to him. If he does and he is willing to give the dog up I would very much like all those that have offered to foster him, to fill out an application. In essence he is a street dog because he is allowed to wander the streets and stands just as much chance of being run over, picked up by animal control or stolen. He will just end up straying from there and become one of those dogs we find in bad shape in a couple of months’ time. I will keep everyone updated. If that dog is owned, he has done a good job feeding him since he is not underweight, he just needs to keep him enclosed and let me know if he needs help. It may not be the dog we are talking about but I will find out. In the meantime….. the gentleman I did get to speak to has two mangy puppies in his yard that he desperately needs to find homes for. He said he has no idea how to treat the mange and that is why they look the way they do. So I am now sending out a plea for someone to foster these pups. They are adorable. Probably about 10 weeks old. They need treatment and need to live inside and be loved on like they deserve. This man said he would never consider dumping them so they would stay with him if he couldn’t find homes. But without treatment these dogs would not thrive. This is going to be a very big opportunity for us to educate a resident in the 5th Ward. That is one of our objectives. He has other dogs and we will ask him if we can help with fixing the dogs and vetting them. After speaking to him today, I think he is a man with a big heart but just doesn’t have the means or know how when it comes to taking care of his dogs. If you would like to foster one or both of them please fill out an application at www.forgottendogs.org. Thank you. please keep us updated on this poor dog and I am praying you do find him. saw him the first time, did nothing – now you’re looking for him. I don’t get hat. Why was he not picked up at that moment, instead of photographing his misery???? I want that dog! I live in Tennessee, but if transport cannot be arranged, I’ll get him somehow. Q Dios te Bendiga x lo que as echo x ese pobre animalito suerte!??❤️❤️????? What is wrong with Houston? Apparently there are abandoned horses dying there as well as cats and dogs. What is the matter with those people?! It’s not the heat….it’s the stupidity. I hope she’s able to locate him soon and get him and his stuffed toy off of the streets into a better life. This picture breaks my heart!!! It’s a cruel and unfair world. I hope all dogs go to heaven! Chorava se passasse e visse isso na rua… Depois levava pra casa, claro. why so many strays in the South?????? Sad but true, people that can’t get pet’s spayed/neutered should not have pet’s. Pet’s DON’T deserve to be treated like this. All they they want is a family,home and loved. God bless all of them. Texas is the worst in crime, animal abuse you name it. I would never live in Texas!! Used to live in Houston, Texas. My favorite saying….”It’s not the heat it’s the stupidity”! Leticia Lopez Cushnie Houston making the news again, for the not so good reasons ? You are doing a wonderful job. Here in Mexico, you can see thousands of beautiful dogs running free after “macho” Mexicans threw them out. I adopted three and wanted more. They range from little terriers to great danes. Breaks my heart to see this. There is not much I can do. I am 75 y.o. oh I hope you help this poor guy!!! This is heartbreaking to see this lovely puppy finding comfort in a Teddy ,why people keep breeding animals just to make a profit and not caring about their well being is so selfish . Tell if you succeed! I´m trying to help the way I can to organizations . find the pup, give him a loving home and a wonderful life !!! please !! My rescue came from the 5th ward ? I wish I could take more! Wonder if he’s lost. Be great if he had a chip and a loving family hunting for him. But it looks like he had kids/ a family at some point.. Hope you find him God bless y’all for all you do. Would take him in a heartbeat if I could. One of mine is a jet blk GSD/BLK LAB, so he would have a brother and an American Eskimo sister.. She’s my alpha female.. They are 8 and 10.. I pray this angel is found. Wonder why they didn’t pick pup up when they 1st saw it? Kind of looks like rasta ? This breaks my heart. No animal should feel like they have been forgotten. When I saw this pic, I started to cry. It is obvious that this dog just wants someone to love and keep him warm, and maybe he found that in this teddy bear, something to cuddle with. It probably had a scent left on it from the child that owned it, and felt safe with it because it couldn’t hurt him. I clicked on the post in hopes to read a happy ending to this story. My heart breaks to read that was not to be. It broke my heart to read that he had to leave him. I sure hope he is found with his teddy. ??? So glad to read there are people who feel for these abandoned or stray dogs. They all need forever loving homes and love to be with humans as it was meant to be that humans and dogs would be together if possible always. A dog should never be homeless or abused ever. If they are there is very wrong with a person or persons that enjoy abusing them or think it’s o.k. to remove from their home and take them to as far away from the home he or she had to make sure that the dog will never return. That person is heartless and will most likely treat a small child like that as well. There has been some humans that don’t like children or dogs or any animals either. I sure hope these lonely dogs will be found where ever they are and put in foster homes where they will stay until they are adopted. These homes usually post adds for available dogs to be adopted to a loving forever home and screen the people who might be interested in particular dog available at their fostering home. This home is the next best place for a dog to be where they are treated as family and have other dogs as company. Mitt hjärta blödet!! Varför?? ?blir så arg när inte människor tar ansvar. Åter igen. Vi ska vara dom intiligenta. Men vi förstör!!!. Förnedrar och tar död på det fina !!! I hope they find him. This breaks my heart ? Oh, how touching and sad I hope and pray he will be rescued and find a loving home, How lomely he must be. Would love an update if you find that dog !!! One is the loneliest number! For all the haters: this gorgeous girl was dumped in 5th ward. She had recently given birth, likely dumped by owners after they got the puppies. She has mastitis, is underweight and was dehydrated. The forgotten dogs saved this girls life. She has been to the vet twice in the past 3 days. She will go back Monday. She is currently safely sleeping in her new crate in my back room. Her new name is Chewbarka and she would have not made it more than a few more weeks if they had not stepped in. She will be healthy and happy soon and hopefully will be another member in my hood rat clan. (She would be my second adoption) This group is doing great things. 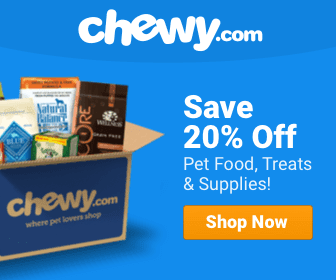 Sorry, chewie picked out a giant cow femar chomper bone over a stuffed animal at petsmart. I beg of all of you living room social justice warriors, step up, open your homes even if it’s just temporary and help any rescue organization in your area. If there are more fosters, the healthy ones can be saved too. Poor baby ? I pray he finds his furever, loving home. Please donate! That will really help! That stuffed animal reminded him when he had a home and one like it, people are mean an cruel that do this to animals. hOur company offers a wide variety of non prescription drugs. Look at our health site in case you want to to improve your health with a help of health products. Our company offers a wide variety of non prescription products. Look at our health website in case you want to to feel healthier with a help health products. Our company offers safe supplements. Look at our health contributing website in case you want to look healthier. Our site offers a wide variety of non prescription products. Look at our health site in case you want to look healthier with a help general health products. Our company offers a wide variety of non prescription drugs. Visit our health website in case you want to feel better with a help of general health products. Our company provides herbal non prescription products. Visit our health contributing website in case you want to strengthen your health. Our company provides a wide variety of non prescription drugs. Visit our health portal in case you want to to feel healthier with a help generic supplements. Our company provides herbal general health products. Visit our health contributing site in case you want to look better. Our company offers supreme quality pharmacy. Look at our health contributing site in case you want to feel healthier. Our company provides health and related products. Visit our health contributing portal in case you want to look better. Our company provides herbal weight loss products. Look at our health contributing portal in case you want to look healthier.